GET TO KNOW VANCITY ELECTRIC. Vancity Electric is a leader in commercial electrical and residential electrical, with upwards of 20 years experience. From large commercial projects, to custom home builds, to small electrical repairs. We are the best electrician for the job. Vancity Electric proudly provides electrical service to the North Shore, as well as across Metro Vancouver and the Fraser Valley. We have talented crew members that live in all areas of the greater Vancouver area, meaning we can happily take on the role a Vancouver electrician to Abbotsford electrician and beyond! Vancity Electric boasts over 100 exceptional client reviews on-line and we pride ourself on our award winning customer service. Vancity Electric has won best of HomeStars, best of Houzz, best of Trusted Pros, as well as the “Giving Back Award” on two separate occasions for our role giving back in the community. Want to learn more about Vancity Electric and what makes us the best electrician in the city? Read our Informed Client Guide or some of our 100+ reviews! BEST ELECTRICIAN IN THE CITY | WHY? Upwards of 20 years of superior residential electrical and commercial electrical experience, including a strong knowledge of products, suppliers, retailers, costs, warranties, lighting design & layout. Excellent relationships with local contractors and inspectors from Vancouver to Abbotsford. All quoting is done in advance. Each job includes a free walkthrough where a plan is discussed together and questions are answered. There will not be any surprises outside of the scope of work discussed. Have peace of mind knowing that all costs are outline upfront. Organization systems and programs are in place that allow us to organize all client information (Walk through notes, phone conversations, material lists, quotes, drawings, audio files, etc) in one location for our team to access and stay up to date on your project. We pride ourselves on being a fresh look on trades. This means that we arrive on-time, we are efficient, we clean up after ourselves, we are personable and we believe in the importance of strong communication. We want to give you the best electrical experience possible. Vancity Electric is know for our award winning customer service! We have over 100 exceptional client reviews on homestars.com, houzz.com, google and more! Whether you are looking for a residential electrician, commercial electrician or service call, rest assured that you our testimonials speak for themselves. Vancity Electric is very proud to offer the first automated express service of this kind for electrical work in the Lower Mainland! Service calls can now be fully booked on-line through our new automated booking system. Let our system walk you through the steps to help determine the amount of time needed based on your needs, as well as determine a day and time that works for you. Booking an electrical service call has never been easier! Click below! 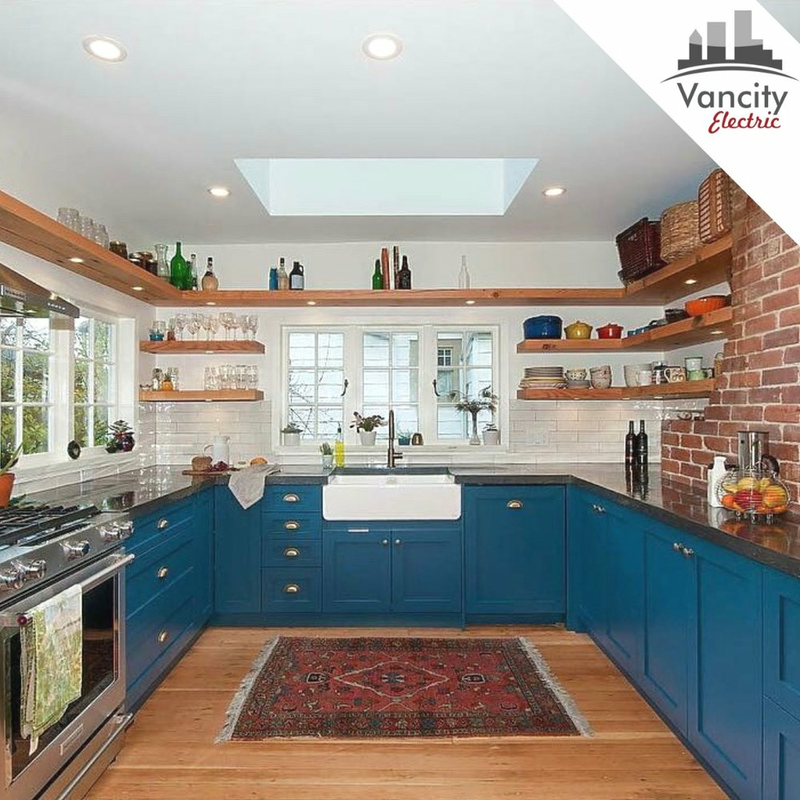 From simple installations to custom new home builds, Vancity Electric is the best choice for your residential electrical needs. With over 100 on-line reviews attesting to our workmanship, dependability and experience, feel confident that you have the right crew in your home. Click below for a detailed look at the residential electrical services that we offer and a snapshot of our portfolio. 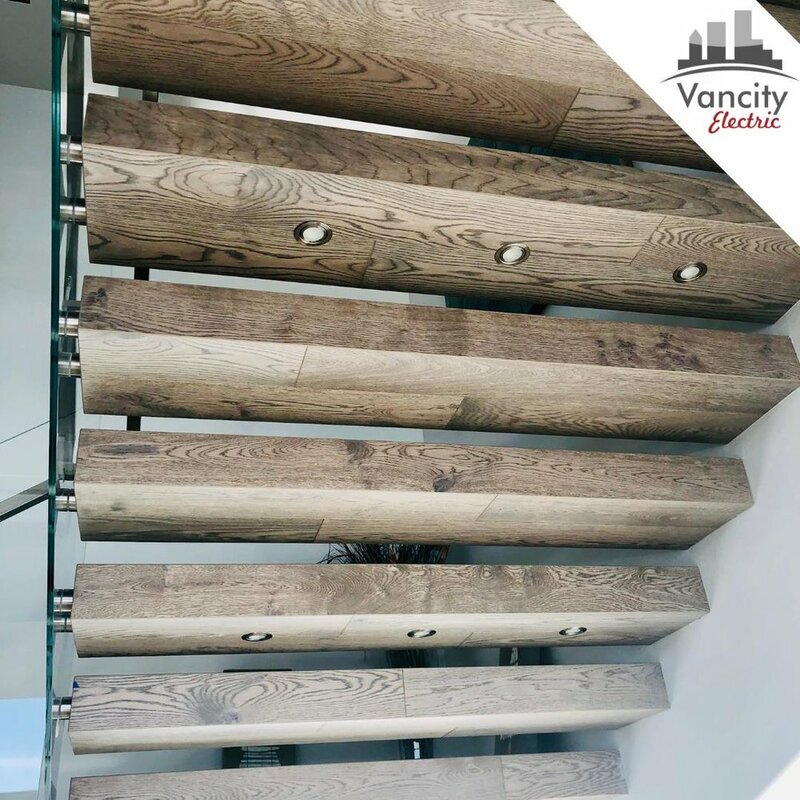 With over 40 years of combined commercial electrical experience between the Vancity Electric owners, in addition to their incredibly talented longstanding crew, Vancity Electric thrives on commercial electrical projects. Vancity Electric has worked on commercial projects of all kinds, from retail store fronts, to restaurants, to warehouses, to large multi-level corporate buildings. Click below for a detailed look at some of the commercial electrical services we provide and a snapshot of our commercial electrical portfolio.